The Parc National de la Kagera lies South of the equator in the North eastern part of Rwanda where that country adjoins Tanzania and Uganda. The Park is bordered on the east by the Kagera River and the enormous swamps, representing extremely interesting habitats, which separate Rwanda from Tanzania. As a Savanna landscape, the Park is one of the most beautiful in Africa with abundant mammals and interesting bird life. Total in about three fourth’s of the area, an uninhabited, strict nature reserve where even most traffic is forbidden except for a few tourist tracks. The park is part of an upland plateau (elevation: 1,300 – 1,400m) between two great tectonic grabens (Rift valleys) of Africa. A succession of large valleys resembling undulating plains are separated by hills, ridges, and Mountains. The Kagera depression, the deepest, valley of the area, harboring the Kagera River, several lakes, and vast marshes, was once part of an enormous inland sea, of which the present Lake Victoria is a fragment. Relatively little rainfall (802 – 1,048mm) and a rather long dry season of three months (June – August). the Park’s area lies within the sudanese – Zambezian Flora region. Four kinds of Savannas may be distinguished by the dominating grasses and tress: (i) Hyparrhenia collina and Loudetia arundinacea; (2) Hyparrhenia lecomtei and Themeda triandra, (3) T. triandra and Bothriochloa insculpta and (4) Acacia nefasia savannas. Woodlands are dominated by croton dichogamus and Eurphorbia dawei: the swamps and marshes occupying such a large area of the park are chiefly colonized by papyrus. Antelopes, Zebras, and buffaloes are the most often encountered of the larger Mammals. Zebras frequent the acacia savannas of the Uruwita plain, while buffaloes are found throughout the reserve. Most interesting antelope of the Park is the sitatunga with a fairly large population in the Kadjumbura marshes. Antelopes usually observed are topi, duiker, black – fronted duiker, oribi, roan, waterbuck, reedbuck, Impala, and bushbuck. Other grazers and browsers of the park are hippopotamus, warthog, and bushpig. Baboons also graze but they are omnivorous, frequenting acacia savannas as well as woodlands. Lions are rather common: Leopards, Servals, wildcats, spotted hyenas, and side – striped jackals also occur. The carnivore most often seen is the banded mongoose, or mungo. The most famous bird of the swamps is the whale – headed stork. – other marsh birds include numerous species of herons, egrets, storks, ibises, gallinules, and rails. Around the lakes and on the Islands: white – faced tree ducks and Egyptian geese. Darters and white – necked cormorants nest on the Islands. Among the many birds of prey to be seen on the savannas are the pale harrier, eagles (long – crested hawk, batelleur, Martial, tawny, black and fish), African kite, black – shouldered kite, and six vultures (Ruppell’s – lappet – faced, white – headed, white backed, Egyptian and hooded). Apart from the numerous crocodiles, pythons and cobras are the most noteworthy reptiles. The Memorial inaugurated in April 2004, 10 years after the genocide. This powerful educational monument, financed by thousands of donations from around the world was designed to raise the awareness and sense of responsibility of visitors from all walks of life. Permanent exhibitions, an education centre, gardens and a documentation centre pay a moving tribute to the all the victims of a murderous era in Rwanda’s recent history. The huge mulindi valley tea plantations, created in 1946 and Rwanda’s first are 75 km north of Kigali near Byumba. You can see the various stages of tea production, from picking to the industrial operations and packaging. A good tarred road leads to Rusumo, 168 km east of Kigali, where you can be hold one of Rwanda’s most beautiful natural wonders; Akagera falls. A branch of the eponymous river is considered a source of the upper Nile and marks Rwanda’s entire eastern border with Tanzania as well as its southern border with Burundi. The charming shores of Lake Muhazi, 70 km north-east of Kigali, are a popular meeting spot. Sunday strollers and tourists in search of nature and tranquility come to this peaceful, approximately 30 km – long stretch of water branching out in every direction. After a boat ride, enjoy the grilled chicken or local igisafuriya – chicken and bananas in sauce – at the lake side restaurant. The park’s 200 tree species, myriad flowers, marshes and water falls make it an enchanting place for people who love the great outdoors. The small resort of Kibuye, a two-hour drive from Kigali, offers a preview of the kind of Tourism Rwanda’s government intends to develop on the shores of Lake Kivu. This park in the Virunga Range north – west of Kigali, which has been a UNESCO Natural and cultural world Heritage site since 2002, is one of the last places on earth where mountain gorillas live in peace and freedom. Visas are required except for citizens of the United State, Canada, Germany, Uganda, Kenya, Tanzania, Burundi, and the DRC. It is easy to obtain one on the internet. Yellow fever vaccination required. Cholera and tetanus vaccinations recommended. Take precautions against malaria; treatment and protection \ insecticide – treated mosquito net in rural areas). Water is generally safe to drink, but use bottled water whenever possible. An international driver’s license is required. Wearing seat belts is compulsory. Drive on the night – hand side of the road. Roads are in generally good condition. The main network is fully tarred but, like every where in Africa, there are many untarred roads and the use of an all – terrain vehicle is recommended. The national currency is the Rwandan Franc (RWF). The rate is variable but fairly constant. Big hotels accept most credit cards (best to check before hand). Kigali has a few automatic teller machines. Plan on using cash for every dayexpenses. 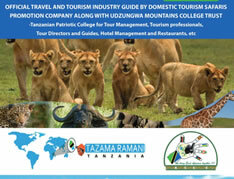 Rwanda is a high – altitude country atleast 1,000m above sea level everywhere with a humid but mild climate. The two dry seasons – from June to September and December to February are the best time to go. The average temperature in Kigali is 19oC. This is probably Kigali’s best – known big hotel. Very good mid – category, 30 – room hotel in Kiyovu, a residential suburb of Kigali. This mid – category (four – star equivalent) hotel made up of small brick and wood buildings dotting park – like grounds may be Kigali’s most pleasant accommodation.